Tablet sleeves virtually never offer stand capabilities. However, the latest innovation from M-Edge – the Latitude – manages to combine the safety of a sleeve with functionality of an integrated stand. 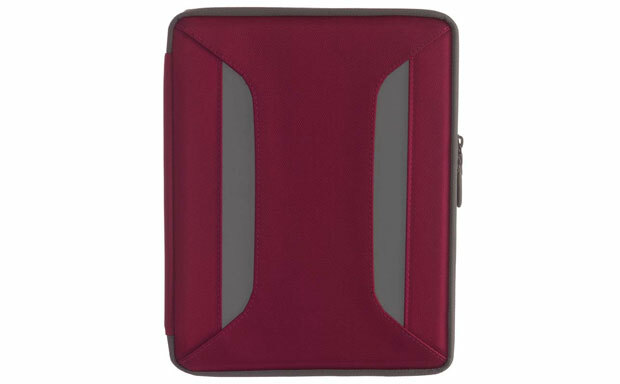 The case is available for a variety of devices including all Apple models and a range of other tablet PCs. 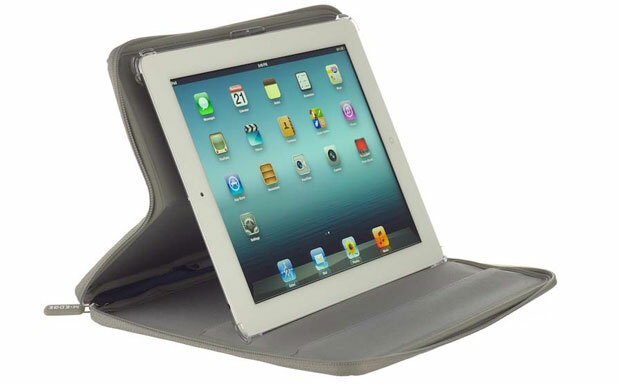 The iPad 4 case comes with nylon canvas exterior for decent impact protection, and jersey knit interior for superior safety from scratches and smudges. 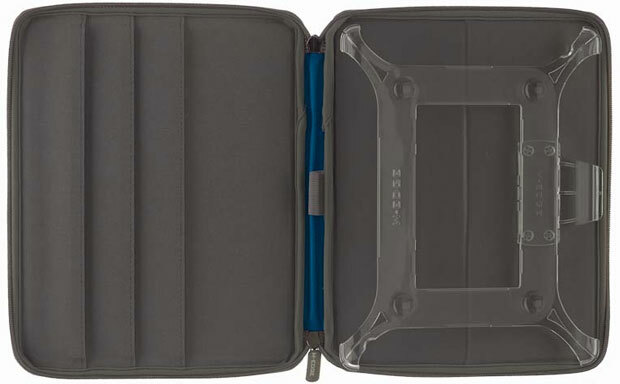 The best feature of the M-Edge tablet cases is its revolutionary uView Mounting System offering several stable and convenient viewing angles in both landscape and portrait orientations. The M-Edge Latitude also features a built-in elastic strap designed to hold a stylus right next to the device. 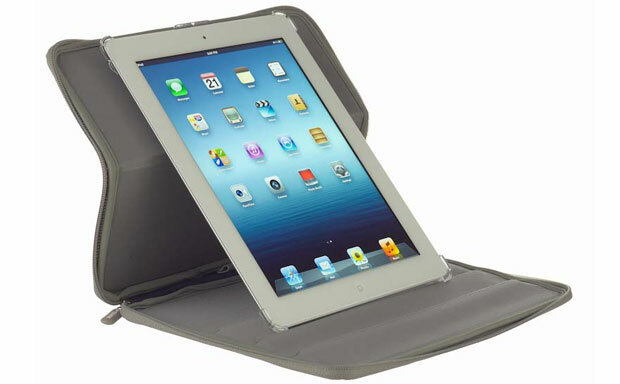 The case comes with an all-round zipper lock, ensuring the contents remain within the iPad 3 case at all times. 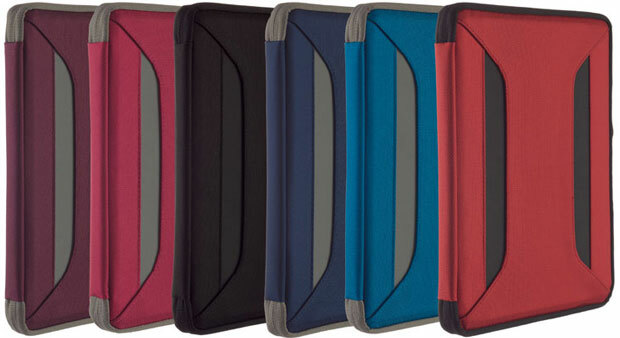 The sleeve is available in a number of attractive colors and color schemes.